You read that right...brains! 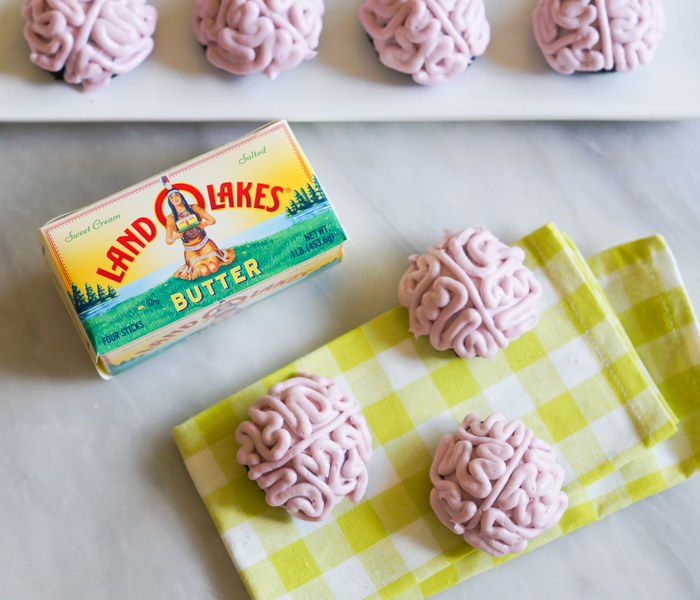 I always seem to have cookies on the brain, so why not brains on the cookie? October is probably the best month to go a little crazy (and creepy) in the kitchen. 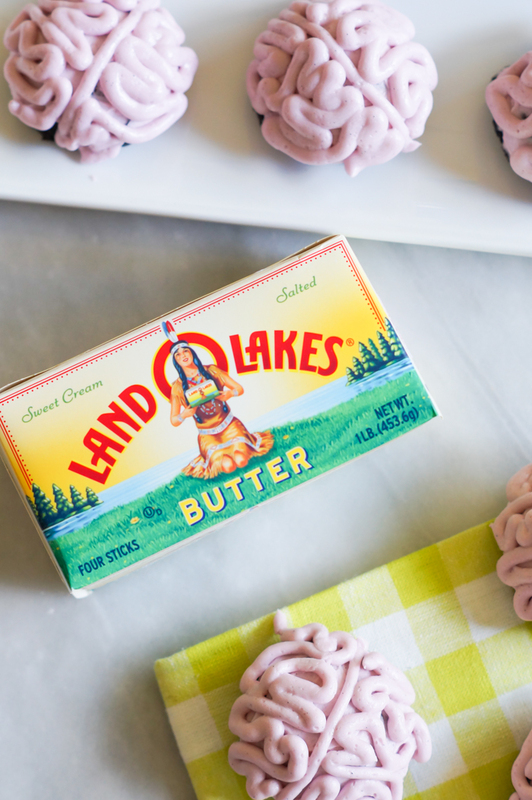 *This post is sponsored by Land O'Lakes, Inc. 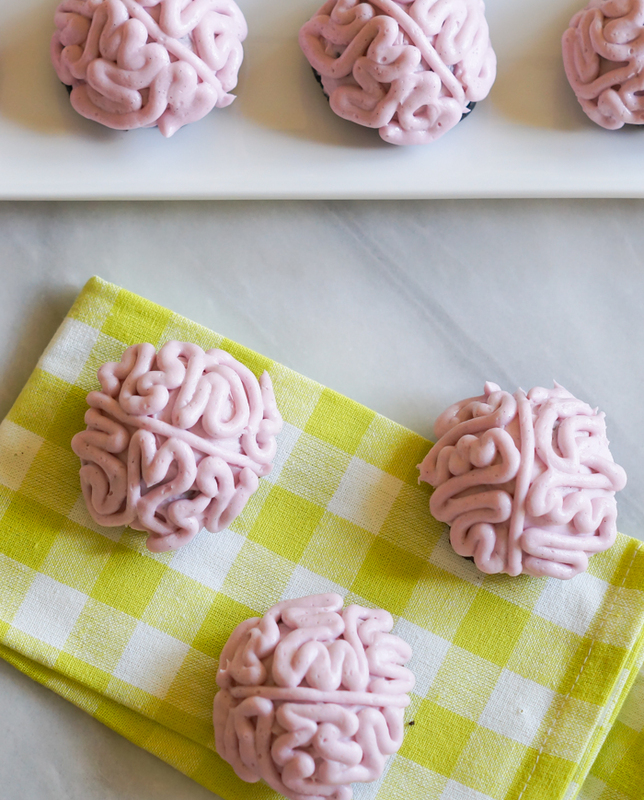 Even if you were to frost these cookies smoothly and add some happy sprinkles instead of brains (c'mon though, those brains are pretty fun), they'd still be something special. 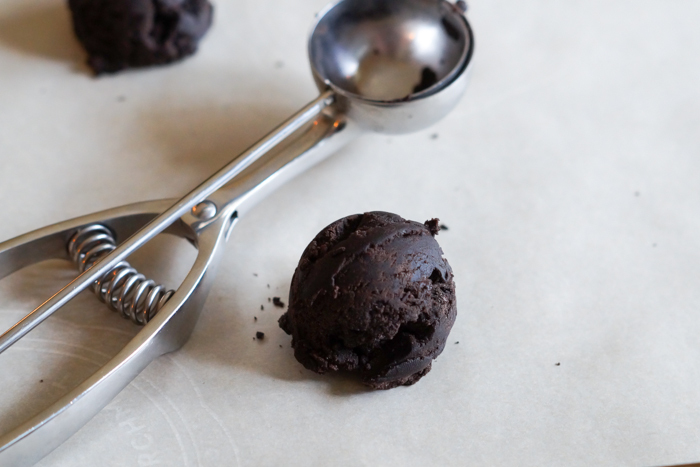 Black cocoa and vanilla bean paste take these cuties up a few notches. 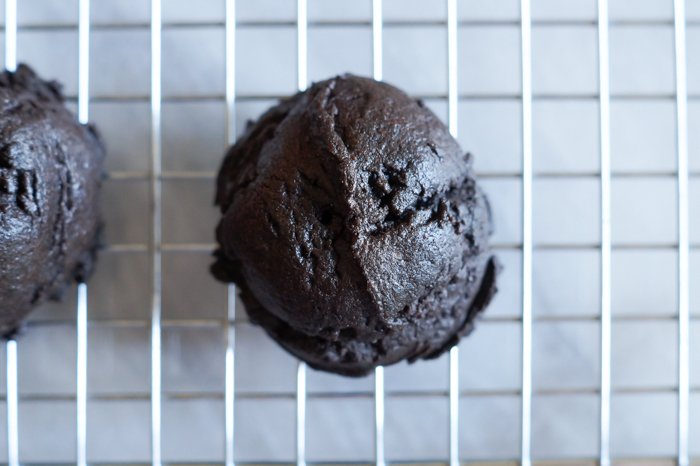 Black cocoa is dark, dark, dark. Compare it (above) to Dutch-processed cocoa which is already dark on its own. 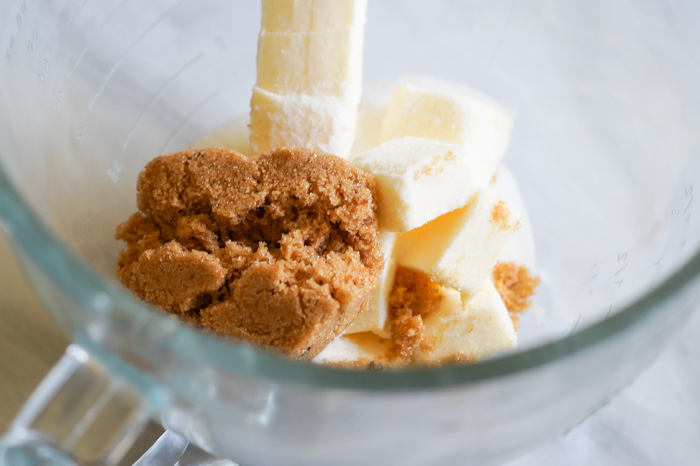 Butter, granulated sugar, and brown sugar are always a winning combination. 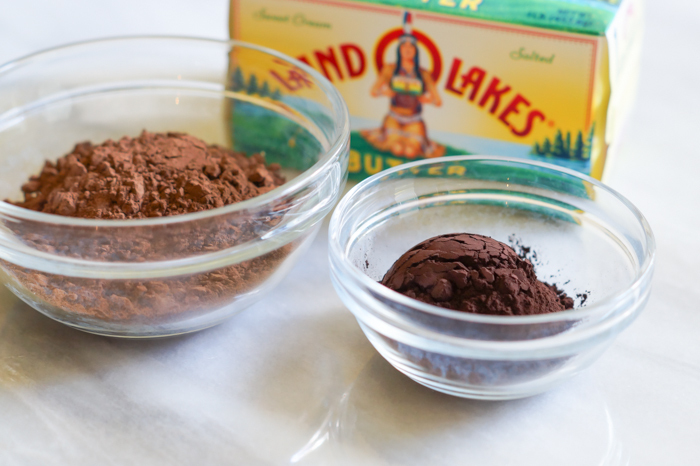 A 2-tablespoon cookie scoop ensures that the cookies are all the same size and keep that rounded shape, perfect for making brains. 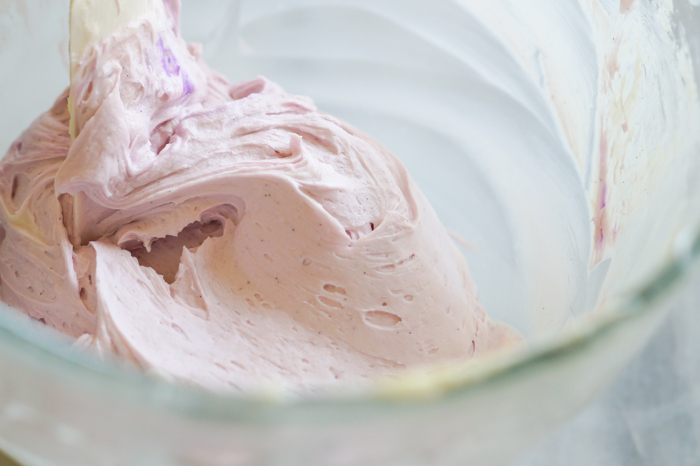 Vanilla bean paste makes the simple buttercream even more delicious...and I like seeing those little flecks in my brains. A bit of purple food coloring makes the frosting pop! I like to coat the entire cookie in frosting before adding the decorative piping. 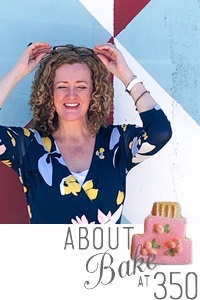 It makes for a great base, the cookie doesn't show through, plus...more frosting! 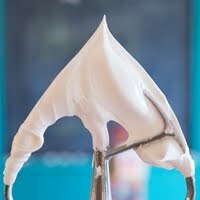 Use a #6 plain tip, or just snip off the corner of a bag to pipe the frosting. 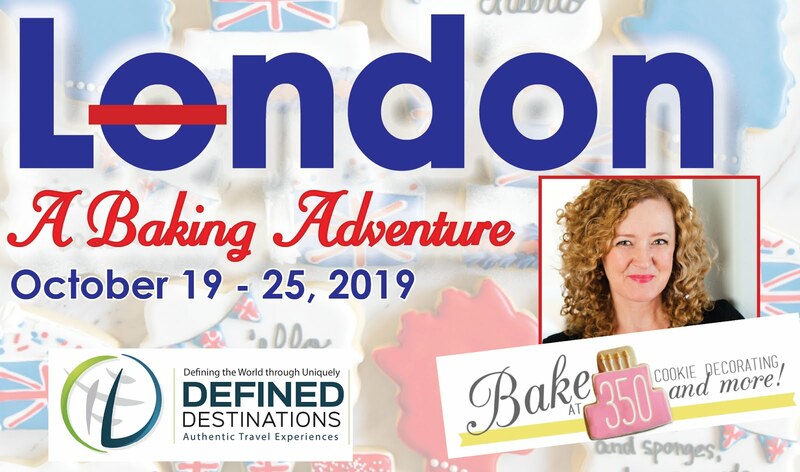 Make the cookies. 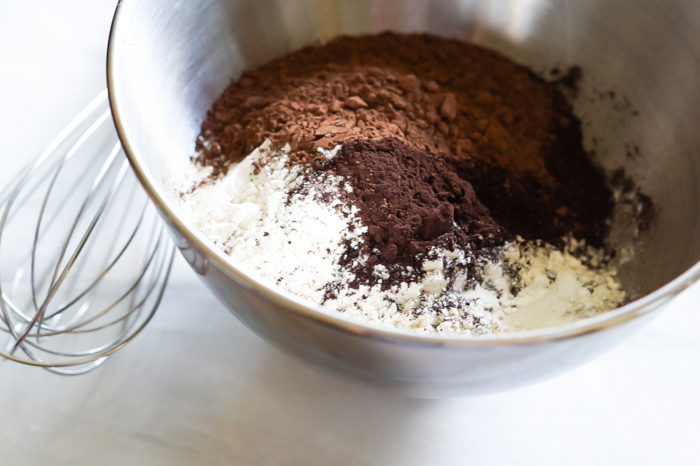 Whisk the flour, cocoas, baking powder, and corn starch. Set aside. Cream the butter and sugars together until combined and fluffy. Mix in the egg and vanilla. In three additions, add in the flour mixture, mixing just until combined. Stir the dough making sure no dry flour or cocoa is on the bottom of the bowl. Refrigerate for 45 minutes. 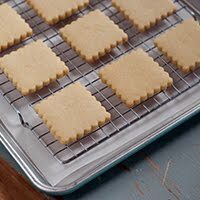 Use a 2-tablespoon cookie scoop to portion the dough onto the sheets. Bake for 12 minutes. Leave on the sheet for 2 minutes, then remove to a cooling rack to cool completely. Once the cookies are cooled, make the frosting. Cream the butter until fluffy. Sift in the powdered sugar. Add milk and vanilla bean paste. Beat on low until combined, then increase speed to medium and mix until fluffy. Scrape bottom and sides of bowl as necessary. Mix in the purple food coloring. 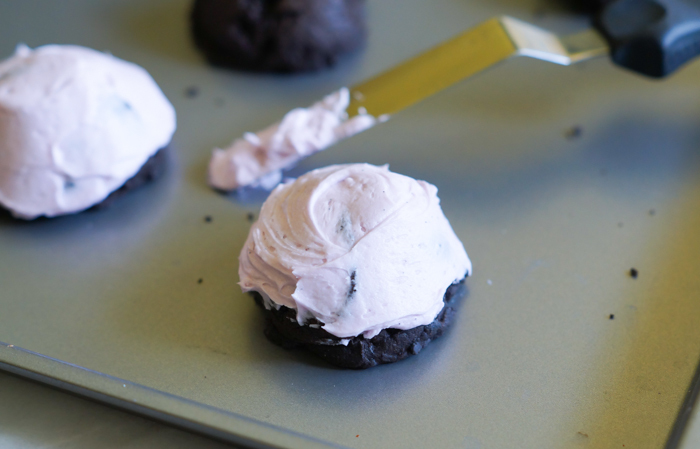 Use an offset spatula to smooth some frosting over the top of each cookie. 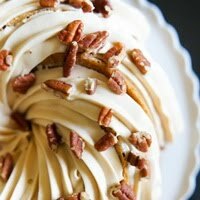 Use a #6 plain tip, or just snip off the corner of a bag to pipe the decorative frosting. Pipe a straight line across the center, then a squiggly lines on each half. Refrigerate the cookies to set the frosting. 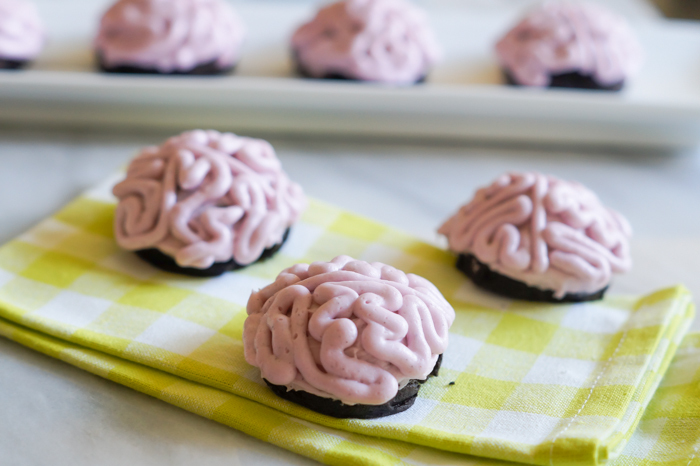 You can even make brains look appetizing?! Kids would get such a kick out of these!! Where might one buy black cocoa? 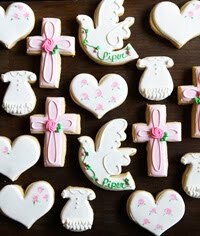 Can you use this recipe for cutout cookies? or would they spread too much? Thanks, these look fun!! 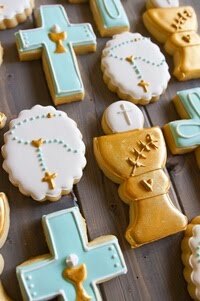 Yummy cookies . I like it to eat , thanks .